If someone at IMPACT says, "I don't have time for professional development," it's usually a good indicator they are not a good fit to work here. To be fair, I haven't heard anyone say that in a number of years as it's clear when someone has that mindset, they don't last long. Here or anywhere, I strongly believe that you can't afford not to invest in your professional development. It's 100% unacceptable. However, just because professional development is important, doesn't mean it's easy. That's what we dive into this week on MarketHer. Often, when we talk about professional development, images of books and blog articles come to mind. Between your constant workload and busy personal life, when do you find the time to sit down and read a book? How can you possibly stay up-to-date on all the latest blog articles? We start the episode off by interviewing Britt about how she manages to put together her clients' marketing plans with a mix of the latest effective tactics, as well as building in experiments to learn from. Whether you work for an agency or are a marketing team of one, this section of the episode will help you as you build your upcoming strategies. We also dive into the different types of professional development we do - reactive vs. proactive - and the tips and tricks we use to recall information we'd never remember otherwise. Our last topic is on time management. There's no hard and fast rule on when/how long you should find time to better yourself. Instead, we share what works for us in hopes that it helps you too. Our challenge to you this week is to break out of the traditional learning mold. There are so many ways you can grow as a marketer that doesn't require sitting down for several hours a day. 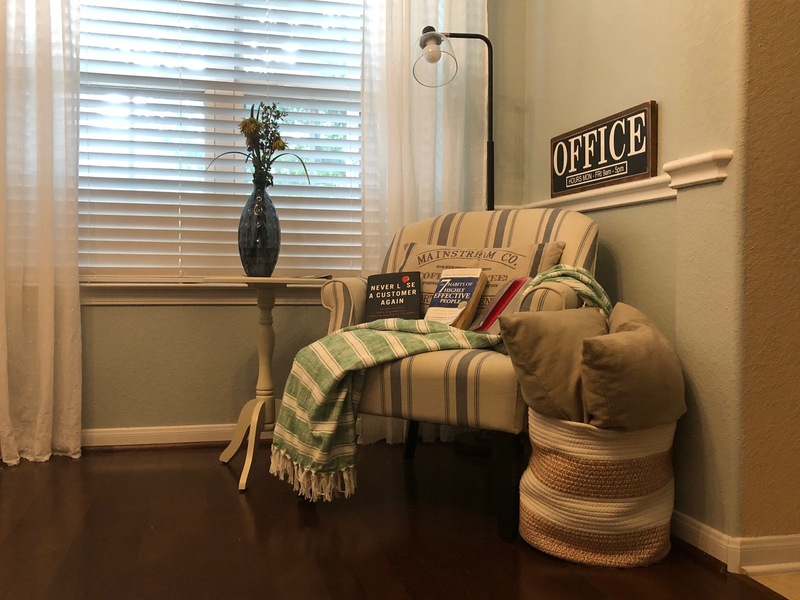 Fun fact: The featured image is my actual office reading nook. Every time it rains, I find a way to take a 20-minute break, sit by the window and cozy up with a good book. All three on my chair are on rotation depending on my mood. Check out the episode below and then join us in our Facebook MarketHer Group to continue the conversation! If you have some tips, email us at markether@impactbnd.com. We will share it on our Facebook page!! First, subscribe to MarketHer on iTunes. Second, have a question or an idea for a future episode of the podcast? Let us know by commenting below, subscribe to our playlist on YouTube, connect with us directly on our channels below or send us an email. We Listened, You Heard, Now, Go MarketHER!